Gavin was born on September 3, 2008 in Toronto, Canada. He had a happy, normal childhood until mid-2010 when he was diagnosed with a brain tumour at the age of 21 months. Gavin’s symptoms were initially very subtle. He started walking with his head tilted slightly to the right towards the end of May 2010. Around this time he also started complaining of pain and pointing to the area surrounding his left ear. A short time later he began vomiting first thing in the morning but would then be fine for the rest of the day. In June 2010, during the week before diagnosis, he became lethargic, and had little appetite. When he swallowed water or juice he would often cough after doing so. 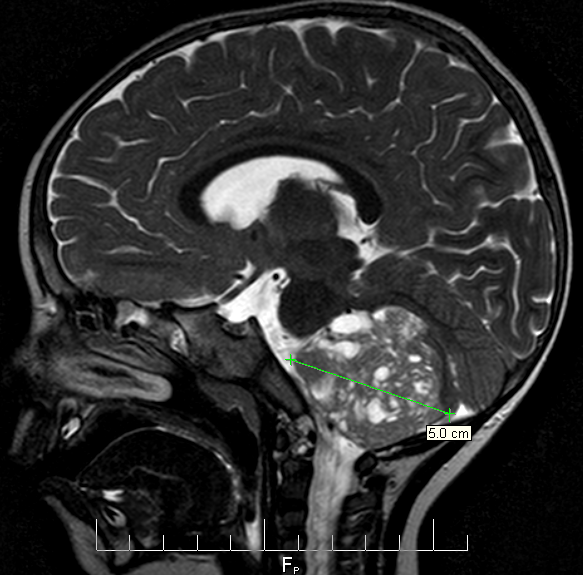 We know now that this is because his tumour was growing around and pressing against the ninth and tenth cranial nerves, thereby affecting his swallow reflex. He also began having balance issues, and was unable to walk more than a few steps without falling down. His vomiting episodes increased and so we took him to The Hospital for Sick Children in Toronto on June 20, 2010. Throughout the struggle to discover what was the source of Gavin’s illness, he was misdiagnosed on several occasions. He was diagnosed with an ear infection and antibiotics were prescribed. When we visited emergency at St. Joseph’s Hospital on June 13, he was treated for dehydration and we were sent home, frustrated after our six-hour stay there and sure that there was more to the story. His condition showed no improvement that week after a course of antibiotics, so we took him to the Emergency department of Toronto’s Sick Kids hospital around 6pm on June 20, 2010. At Sick Kids we were seen by Dr. Audrey Segal who was the first person to truly listen to our story and patiently note all the details, and she ordered some bloodwork and a CT scan. By around 10:30pm, Audrey had to break the devastating news that Gavin had a large posterior fossa brain tumour. About 3 weeks later we received the final diagnosis from the pathology team: Cribriform Neuroepithelial Tumor (CRINET) which is a variant of Atypical Teratoid Rhabdoid Tumor (AT/RT). AT/RT is a rare, aggressive cancer with a low survival rate, but CRINET has a slightly better prognosis. CRINET has only recently been identified so the case history (only 2 children at the time) makes it difficult to know how Gavin will fare. The other two children are long-term survivors, but were initially misdiagnosed and treated with protocols designed for other tumour types. In the fall of 2010, we discovered that Gavin did in fact have a genetic abnormality of the INI1/SMARCB1 gene in chromosome 22, which predisposes one to tumour growth. Further testing revealed that he inherited this mutation from his mother Erica, who inherited it from her mother and maternal grandmother. It is not yet understood why some with this mutation develop tumours and others do not. While we waited in hospital to go into surgery, Gavin experienced a haemmorrhage within the tumour and was rushed into an emergency surgery, in which first an External Ventricular Drain (EVD) was installed to drain off the excess cerebrospinal fluid which was putting great pressure on his brain. The next step was to try to remove the tumour. The surgery took about seven hours, but our amazing neurosurgeon Dr Peter Dirks managed to remove all of it which gave us a very good starting point for further treatment. After surgery Gavin was in the ICU for 2 days and was bed-bound for around 3 weeks. This was a very difficult time for us because he still had his EVD, which had to be kept level. Every time he rolled over or moved, which toddlers do a lot, we had to call the nurses to come and re-level his drain. We also had to keep a close eye on the drain to make sure he wasn’t draining too much fluid too quickly, or too little. 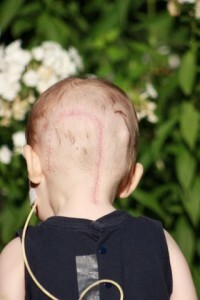 A week after the first surgery, Gavin developed hydrocephalus, which was quickly dealt with by adjusting his drain. Unfortunately, the next CT scan showed that although the hydrocephalus had resolved, there was a large blood clot in one of the main veins in Gavin’s head. The situation seemed completely hopeless, as we had gone from tumour to hydrocephalus to stroke in just a few short days. Although many doctors were reluctant to put him on blood-thinners so soon after surgery, it was finally decided it was a necessity. He began intravenous Heparin for a few weeks and was then switched to twice-daily injections of Enoxaparin. A CT scan on July 30 showed that the clot was significantly smaller, and on September 8 he was finally taken off the Enoxaparin. Although we had hoped that Gavin would not require a permanent shunt, when we tested the EVD, the pressure became too great for him to handle on his own, and a cerebral shunt was installed on July 12th 2010. The neuro-oncology team chose to treat Gavin with a chemotherapy protocol known as Protocol COG-99703. Please see the page called COG-99703 for further details. Gavin did very well in his first three rounds of chemo. Obviously, he experienced nausea, vomiting and lack of appetite, but always had lots of energy and continued to be playful and engaged. Between rounds, he only needed to return to the hospital once or twice for fevers, and was able to be at home with us, renewing his strength. He had lost most of his hair, eyelashes and eyebrows by the time we started high-dose chemo, when he lost all of it. Between these rounds, he also had to enter hospital for his stem-cell collection, which was done by apheresis. The first round of stem cell collection was a dismal failure. We needed to collect 15-20 million cells and we were told that this should have been achievable in a day or so of harvesting, but after three days we had only amassed about 6 million cells – barely enough for one round of high-dose. The stem-cell collection was repeated after the third round of chemo and, much to our relief, we managed to collect enough (9 million) cells in the first day, so his second femoral line was removed and we got to go home early. Although we were extremely fearful of high-dose and of entering the isolation ward on 8B, Gavin’s first two rounds of high-dose chemotherapy went without incident. We returned home for several days between rounds, and looked forward hopefully to his last transplant at the end of November. Unfortunately, things took a bad turn on the day of his final transplant. His blood pressure and heart rate went through the roof and he began requiring oxygen. Over the next 2 weeks his condition deteriorated and he was moved into the Intensive Care Unit on December 7, 2010. He was intubated and breathed with the help of a ventilator. He went through a battery of tests, to check for bacterial and fungal infections, which all came back negative. He then underwent a lung biopsy surgery, to determine if the cause of his respiratory issues was veno-occlusive disease of the lungs. The biopsy fortunately came back negative for this, and eventually it was decided that Gavin had suffered some damage at a cellular level as a side-effect from the chemo. Although there were dark days during those two weeks in the ICU, he recovered slowly and was moved back to the BMT ward on December 20th. He was treated with twice-daily transfusions of platelets and high doses of steroids to combat the bleeding in and damage done to his lungs. After some recovery time on 8B, the BMT unit, we were formally discharged on January 11, 2011. Gavin spent about six months recovering at home, and was kept quite isolated while his immune system rebuilt itself. Gavin was unable to swallow properly after surgery which meant he could not eat or drink in the conventional way, but required an NG tube. There was no permanent physical damage to the nerves that control swallowing but they were traumatized from the tumour, the haemorrhage and the surgery. Gavin failed his first swallow test in July 2010, but six weeks later, on August 27, two months after surgery, Gavin’s swallow was assessed using the Barium swallow test and he was cleared to eat thin purées and thickened liquids. We spent several months experimenting with different textures to see what he could tolerate, and had to exercise caution. 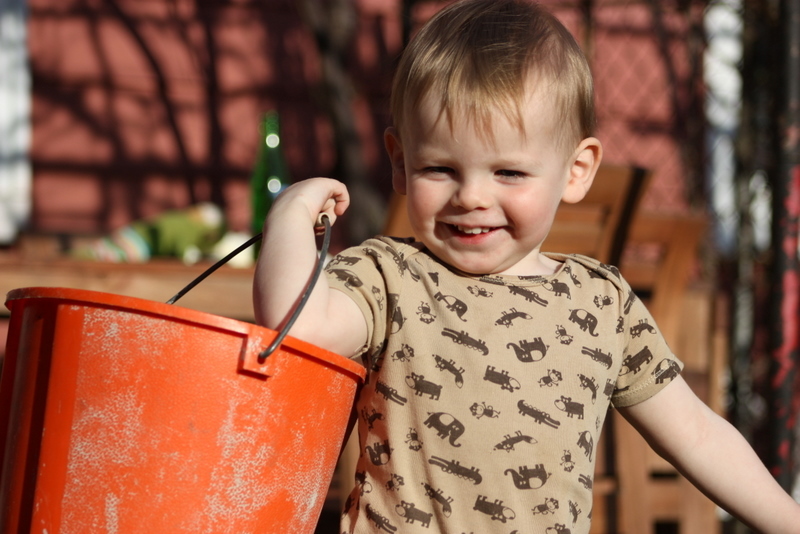 Gavin kept his NG tube for formula feeds until May 2011, which means he had it for a total of 10 months. Unfortunately, like many young children who have undergone chemo, he’d lost interest in food and it was very difficult to tempt him to eat. After spending some time feeding him vegetable purees through the tube, we graduated to working on meals and drinking regularly. It was a challenging period, but eventually Gavin learned to love eating again and is now a pretty normal, choosy little boy. As of January 2012, he must still drink thickened liquids, but this too seems to be slowly improving. Gavin lost the ability to walk twice on this journey, once after his initial surgery, and then again after his long stay in isolation. He has very good fine motor skills. His balance and gross motor skills make him a little wobbly at times but he has shown great improvement, and by February 2011, he could walk completely unassisted again. He is being treated with osteopathy and has been assessed by physiotherapists. We completed a short-term intensive rehab program in Toronto in October 2011, and that combined with the purchase of a children’s trampoline helped Gavin overcome some of his gross motor delays. As of January, 2012, he is almost at the same level as his peers. His speech was negatively impacted by his surgery, and for the first little while his pronunciation was difficult to understand. However, as his swallow improved, his voice became clear again. After his ICU stay, it took him awhile to regain the complexity of speech he’d had before, but he has made great strides. He was assessed by Toronto Preschool Speech in March 2011 and was found to be on track or slightly advanced for his age. At times, he has developed a stutter which has come and gone, but we have no concerns about that at this time. Gavin was sent home in January 2011 on a low rate of oxygen, and required oxygen around the clock for our first month at home, while he also received steroids and other medications. He was cleared for night-time O2 on February 11, 2011, and then taken off oxygen permanently in March. He was formally discharged by “Chest” in June 2011 with no further issues. He did also suffer some damage to his kidneys, but thankfully they still function well, although at a lower rate than before. High-dose chemo can have many long-term side-effects: sterility, reduced cognitive function, kidney damage, hearing loss, and stunted growth to name but a few. A third of the kids that receive this treatment don’t enter puberty naturally, but must receive hormone therapy. We do not yet know what Gavin’s fate will be in that regard, but in January of 2012 Gavin stands at 98.5 cm tall (38.7 “) which puts him exactly on the 50th percentile for height. He has had MRI scans taken every three months, and all have shown No Evidence of Disease (NED). We have every confidence that Gavin will grow up to be an amazing person. He’s a strong kid who battled through his treatments with energy and strength, and we continue to help him overcome his obstacles through hard work and perseverance. He started attending an arts-based preschool program in September of 2011 and also began attending a daycare at his future elementary school in January 2012. He is looking forward to starting Junior Kindergarten in September 2012.